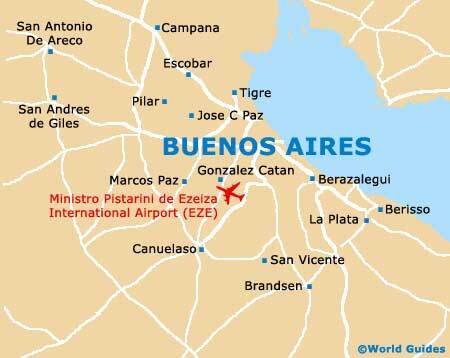 There is good shopping to be found within the Argentine city of Buenos Aires, which has become well known for its bustling open-air markets (ferias), such as the Cabildo Patio Feria, the Feria de Madres de Plaza de Mayo and the Plaza Serrano Feria. The pedestrianised street of Florida, in central Buenos Aires, is lined with shopping opportunities, such as the Galerias Pacifico mall, and is always buzzing with busy shoppers. 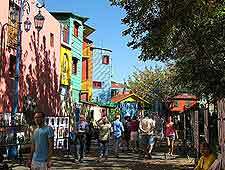 Also known for its shopping is the Avenida Santa Fe, which is brimming with local stores, selling everything from high-street fashion to touristy souvenirs. 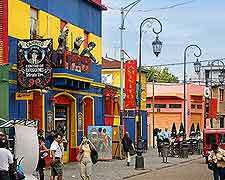 For the best choice of antiques in Buenos Aires, then the neighbourhood of San Telmo is the place to head, while the Avenida Pueyrredon is filled with inexpensive clothing and is to be found within a stone's throw of the Once railway station. If you are looking for some quality jewellery, then the Libertad contains a number of reliable jewellers and is located directly south of the Corrientes. Alternatively, check out the shops and trendy fashion boutiques around Palermo Viejo, which will no doubt tempt you with their offering, being interspersed with cafes and restaurants. Shopping malls provide the biggest selection of goods and locals tend to favour the Abasto de Buenos Aires on the Avenida Corrientes, which is actually the largest mall in the whole of Argentine and contains over 250 different stores, along with a dozen cinemas and even a funfair. The Alto Palermo is another important shopping mall in Buenos Aires and stands off the Avenida Santa Fe, where is features almost 200 stores and various entertainment options, spread over three storeys. Within the trendy Recoleta area, the Buenos Aires Design mall is devoted to various aspects of interior design, and the nearby Patio Bullrich Shopping Centre features big name designers, such as Dior and Lacoroix.